Dr. Sarah VanCleave grew up in a large family and a tight-knit Mandan community. She found very early in childhood she was the happiest when she was helping others. 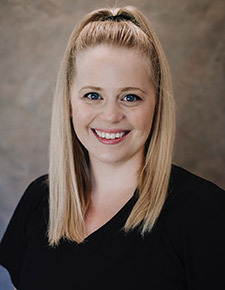 Dr. Sarah attended University of North Dakota receiving a Bachelor of Science and a secondary education teaching certificate. After a summer mission trip to the Dominican Republic and 1 year of substitute teaching, she learned about chiropractic. The very first chiropractor Dr. Sarah ever shadowed was Dr. Sicble (Thank you very much)! She received her Doctor of Chiropractic degree from University of Western States in Portland Oregon in January 2014. 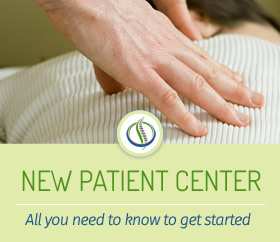 Dr. Sarah had a diversified practice in Bellingham, WA for the last 2 years. She recently got married to Myles VanCleave and they decided to move (home) to ND. Whether its working out, cooking, yard work, or church on Sunday morning Dr.VanCleave spends most of her time with her wonderful giant family.